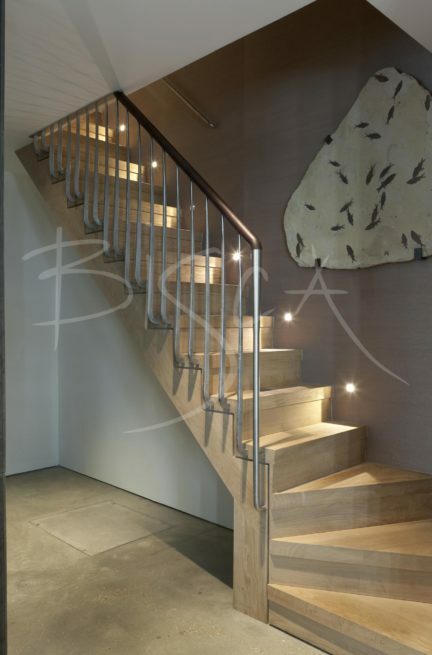 A chunky bespoke oak basement staircase and balustrade in a Kensington property. 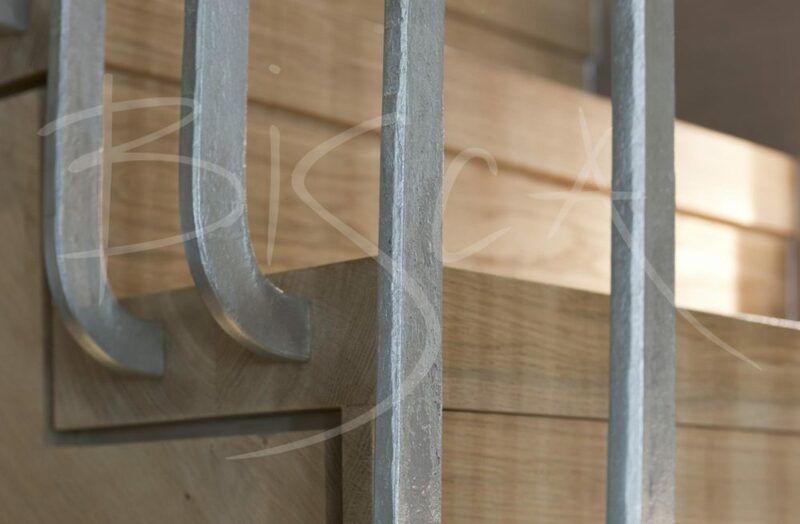 Oak treads, forged stainless steel uprights and tapered newel post with a leather-clad handrail make up the design. Stainless steel uprights from Bisca’s blacksmith have a satin forged finish to all faces. The top section is bright polished to add interest, whilst the lower section curves into tread ends. Feature lights set into the wall give a gentle light onto the treads. Lighting incorporated into a staircase design always gives the best outcome. 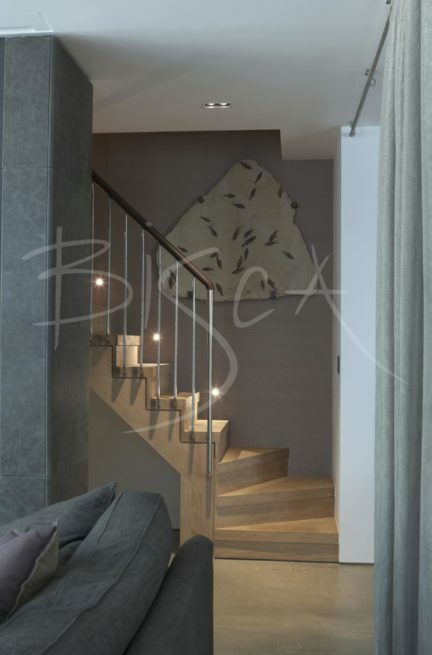 Bisca work with lighting design partners who advise on stair specifics, or alternatively, as part of an overall theme. 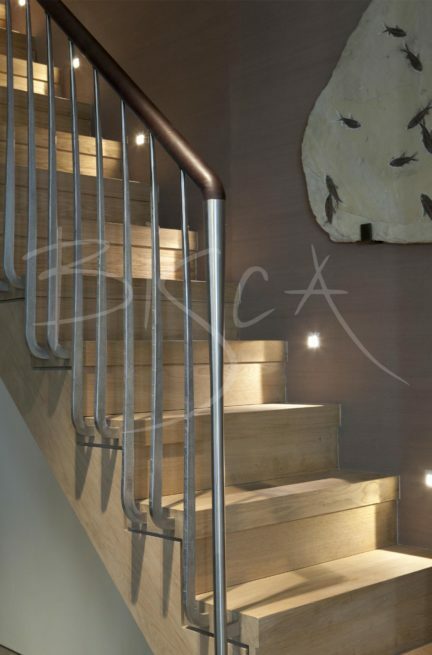 To get a guide price based on this basement staircase or balustrade design, please quote reference 3079. Every upright design we make is to meet a client’s brief. Why not ask us to create something unique to your own project.